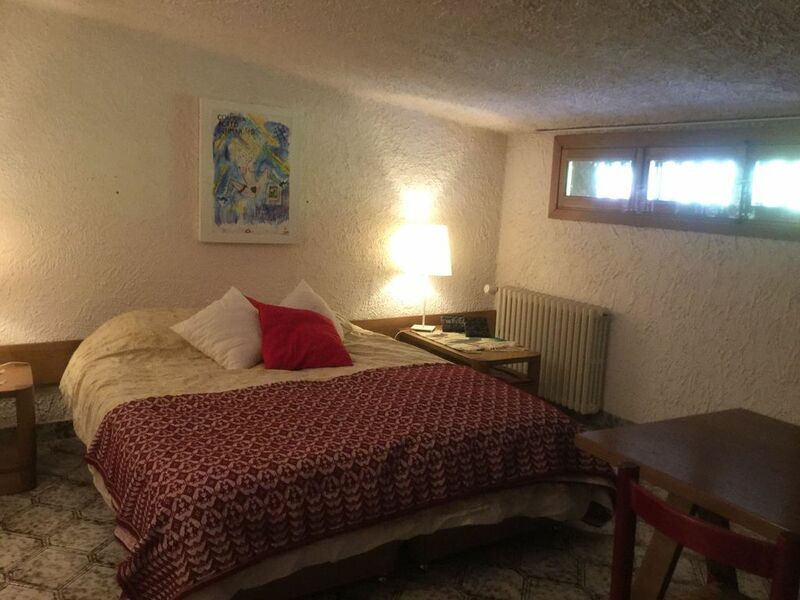 Nice and private bedroom at the first floor with access from the common entrance of our house. During the day you will spend your time in a space reserved for you on the balcony (at the ground floor). The garden have direct access to the lake. Available all the year (not the balcony). The bedroom is nice and wide but don't have view. A big capote and a really smart bathroom. Fits with an easy stay with the access to a great contest: beach, view, garden, pedalò. Inside a beautiful park of 3 hectares having wildness along 3 sides of the border and have direct access to the lake including a nice private beach with pedalò (shared with us and other guest). This region is called the 7 lakes region but for sure our lake is a small diamond. Relaxing, clean, paradise of rowing (don't have motor boat), safe. The perfect place to have vacation. A coffe machine is there to start the day with a good espresso . A small frigo is available. We have an agreement with a restaurant and you pay 15 euros per person per meal. Dogs & Cats are not accepted. 20 minutes far from Malpensa airport. 10 km away from the highway A8-Lakes (Sesto Calende). 11 km away from Sesto Calende railways station. A car is really suggested to be independent and go around and you can rent one for not more than 30 euros/day. We also live in the property, in the same house, and so we are able to give you all the support you need when you want !!!! We give all the suggestion we can to enjoy as much as you can !!! We will give you our Welcome Book full of suggestions to make your life easier. In the sorrounding have many attraction: restaurants, museums, shopping .... but we are proud to say that our guests love to stay at home relaxing looking the lake and the garden. We have a golf club at 6 km (golf dei Laghi - green fee 40 euro) + at 10 km (golf Varese) + at 15 km (golf des Iles Borromèe) + at 17 km (golf Castelconturbia). Lago d'Orta is really nice - Villa Panza in Varese is an interesting contemporary art Museum - Sasso del Ferro (Laveno) is an interesting spot with a great view - Eremo di Santa Caterina del Sasso is a nice monastery - great food is everywhere.